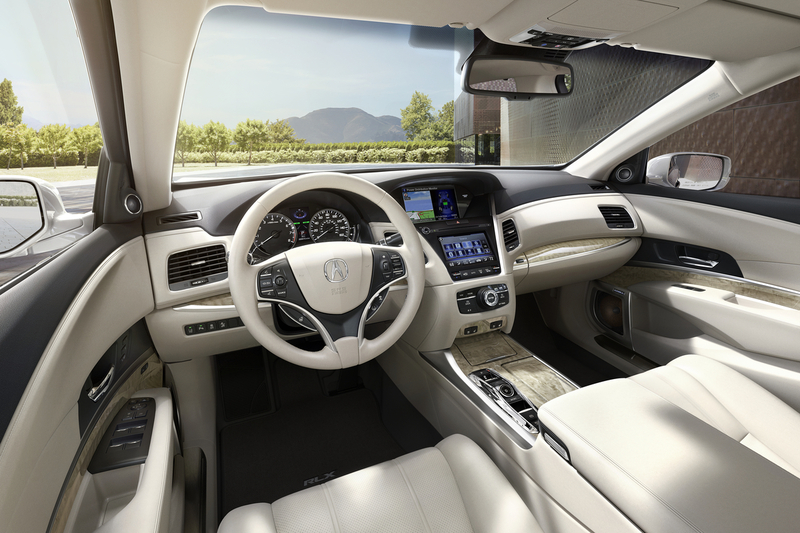 During the Monterey Car Week, Acura unveiled the new style of its RLX flagship sedan. The big four-door car didn’t drastically change, but like a good wine, it only got better with age. Let’s go through its most obvious changes and less obvious modifications. 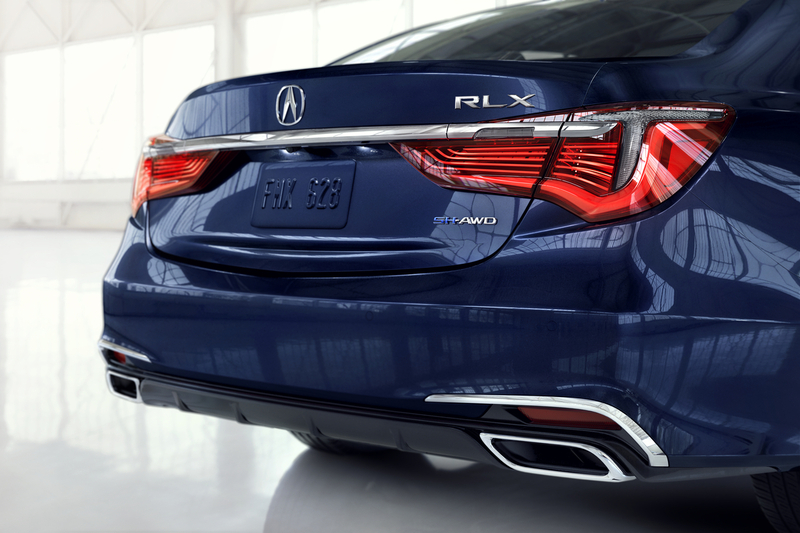 The first thing you’ll notice when looking at the new RLX is the changes made to the front end. The hood is all-new, as is the recognizable front grille. 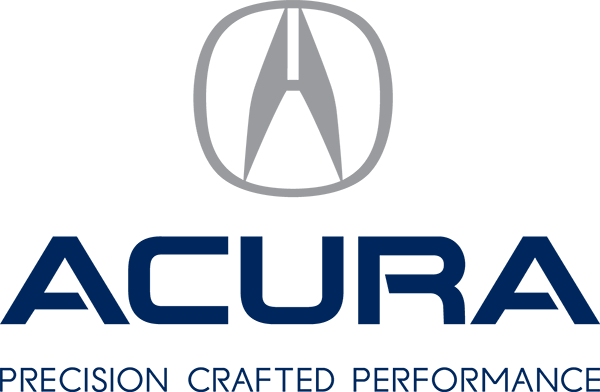 Gone is the chrome “beak” that had become the signature of Acura in the last few years—in its place is a sleek-looking pentagon grille. The rest of the car’s front end is also new. For example, check out the stylish chrome lines circling the fog lights, or the new LED fog lights themselves. The RLX has also been thoroughly modified at the rear: new LED taillights give the car a more modern look, while the black lower diffuser anchors a sportier appearance. There are also some changes under the hood. The powerful-yet-economical 3.5-litre V6 is back, still delivering 310 horsepower. However, sitting underneath it is an all-new 10-speed automatic gearbox. While it has been seen in the Honda Odyssey, Pilot and Ridgeline, this is the first time this unit is used in an Acura product. 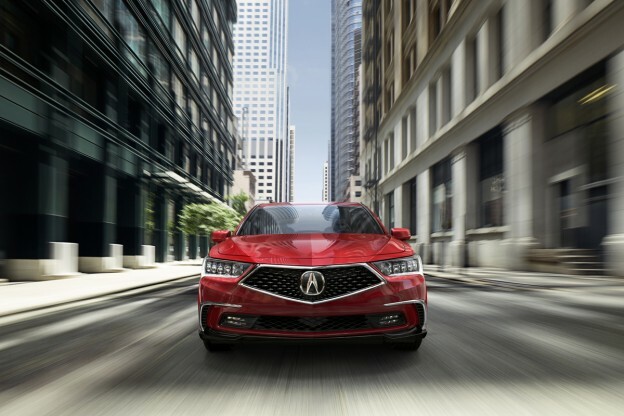 The rest of the car’s mechanical bits are unchanged—Acura’s Precision All-Wheel Steering still comes standard, as does the FWD layout. Acura hasn’t yet published the fuel economy ratings for the 2018 RLX, but we can only assume that the 10-speed transmission will only improve them. The most notable change inside the 2018 RLX is the new front seats, which we look forward to sitting in. Throughout the cockpit, various surfaces are now richer than they were on the outgoing model, and there’s even an Espresso interior colour now on option. The most notable piece of technology that has been added to the already impressive list of features proposed on the RLX is the Traffic Jam Assist. This clever tech will automatically follow the car in front of you when you’re stuck in gridlock, helping those who have to go through congested city centers every day. The 2018 Acura RLX is set to arrive in November. When it lands in dealerships, we will finally be able to experience just how far the brand’s high-tech limousine has come. Stay tuned! This entry was posted in Blog on September 17, 2017 by Anthony Greco.